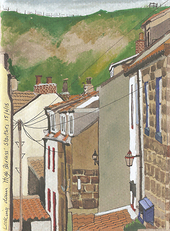 Cliff steps leads from 'The Kyber Pass' on to 'The Cragg' that then leads on to Pier Road. 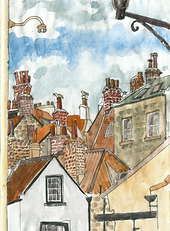 It has a great view across the roofs to the East Side. 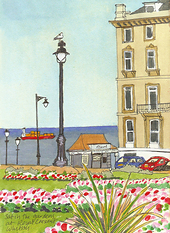 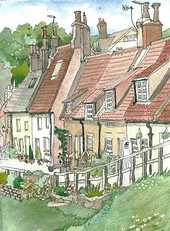 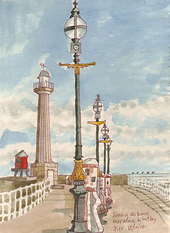 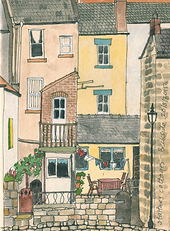 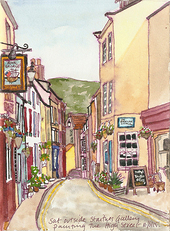 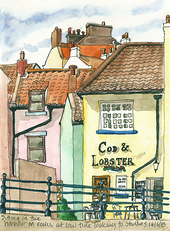 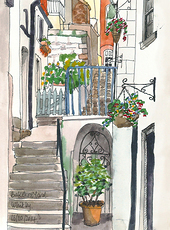 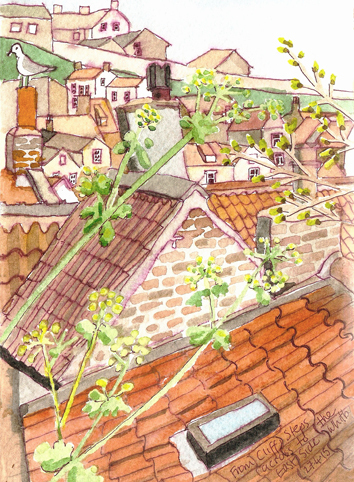 I sat on the steps to sketch in pen and watercolour.